25% LIFETIME OFF for orders before MARCH 31, 2019. Use couponcode 'FLASHSALE' at checkout. 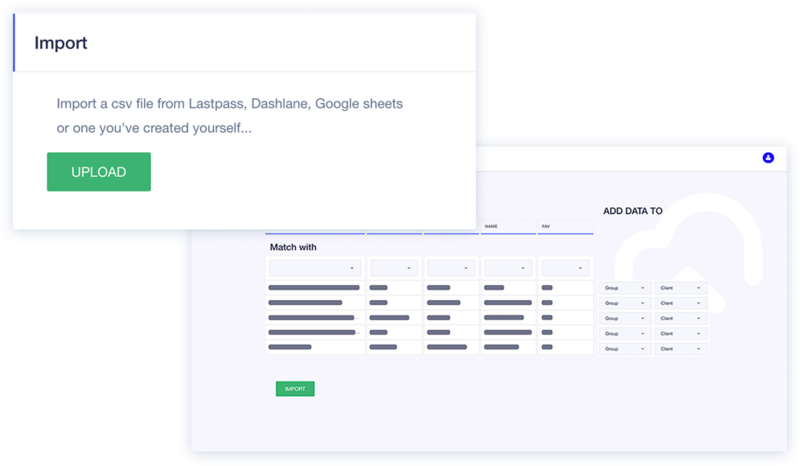 The only team password manager that does things differently. 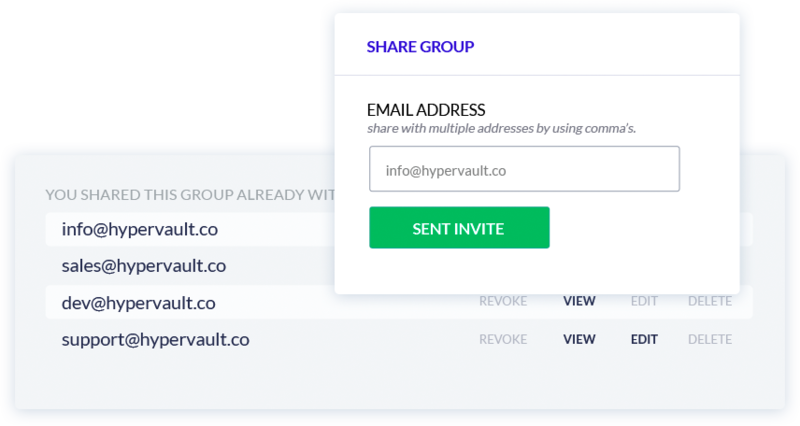 Our expertise in the agency business resulted into Hypervault, the only tool you need to share passwords with your clients and your team. 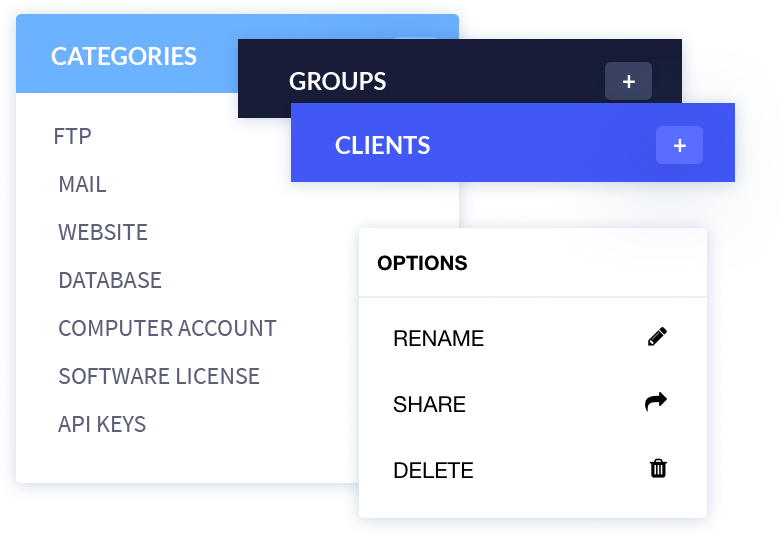 Create collections of your groups, clients and categories. Add all sorts of access information. We’ve integrated multiple layers of security to keep your data as safe as possible. Store all kinds of fields. 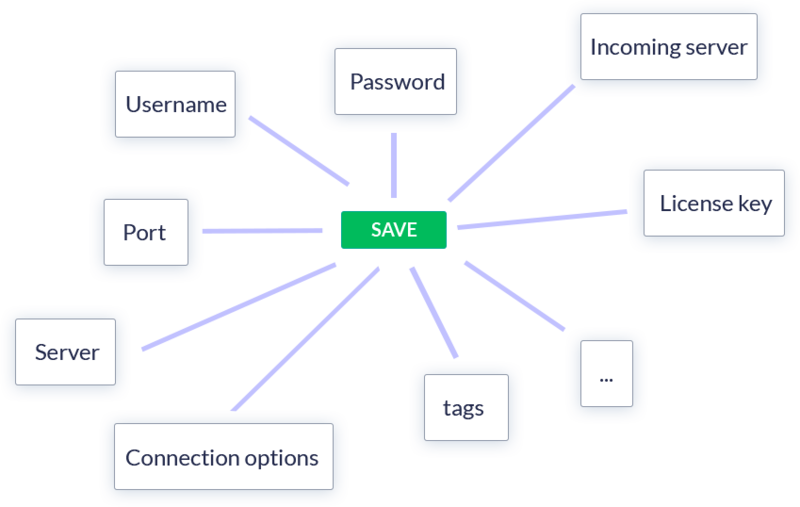 Don’t feel limited to justing save username and password. Hypervault has built in fields for FTP, Website, API, Database, Email and Software license account credentials. Define user rights & permissions. Hypervault v2.0 is coming on April 1st. Get your license today and start sharing passwords with your team.